What can I say about Altitude? Some of the cinematography was nice, and there’s an interesting twist I didn’t see coming around an hour in. Oh, and it’s in focus, and the effects are actually pretty good. And the acting isn’t terrible. Other than that, it features three unsympathetic or unlikeable male characters, and two female characters who are passable. That’s probably its biggest flaw – the characterisation. But it’s a really huge flaw for a film of this type. Pretty much everyone makes at least one really bad decision, acts in a way that is horrible, and does something particularly stupid. It’s not a case where they each do one of the previous things, they each do all three. At least once. Basically it’s bloody hard to care about any of these people, or indeed the film. 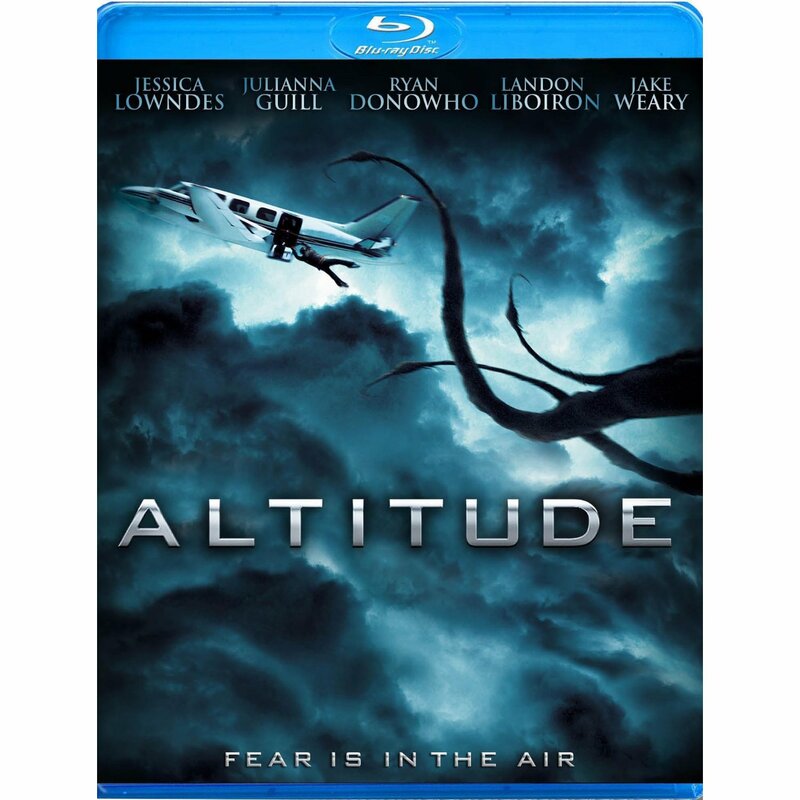 Purely by accident, I saw Cube, then this – and Altitude really highlighted the importance of decent characterisation. They are essentially the same type of film – a group of people trapped in a confined, high stress environment in which they have little-to-no control. The difference is with Cube we care about or understand the characters and their actions and motivations. With Altitude, we don’t give a damn. I can see how people would say it fits within the broad cosmic horror definition, but really, it’s just a really weak episode of Twilight Zone that’s been blown out to 90 minutes. Actually, as a 30 minute short film, I suspect it would have been much, much better since there would have been less of the characters. I’d spoil this one something rotten like I did with The Forgotten, but except it missteps so badly right from our first introduction to these people, I really can’t be bothered giving it any more of my attention. What’s nice about the first film is we know nothing about the universe it’s set in. Yes we learn stuff as we go along, but it’s still a situation where we don’t know enough. This one fits the cosmic horror bill mainly due to the characters not having any control or ability to influence things. They don’t know the rules, though they do figure some of them out as they go. There’s other elements as well, but that requires spoiling the film, which I’m reluctant to do. Cube‘s real strength is as a character piece. Throw a bunch of people together in an enclosed, high-stress environment, and watch them react and interact. They shift and change, have layers and secrets, and all these things make it an intriguing watch. When characters are inevitably killed it’s gruesome and gory, but not too over the top. I get the feeling the main reason for the nastiness of the deaths is to sell the danger, and make those scenes where we know there’s a trap that much more tense. 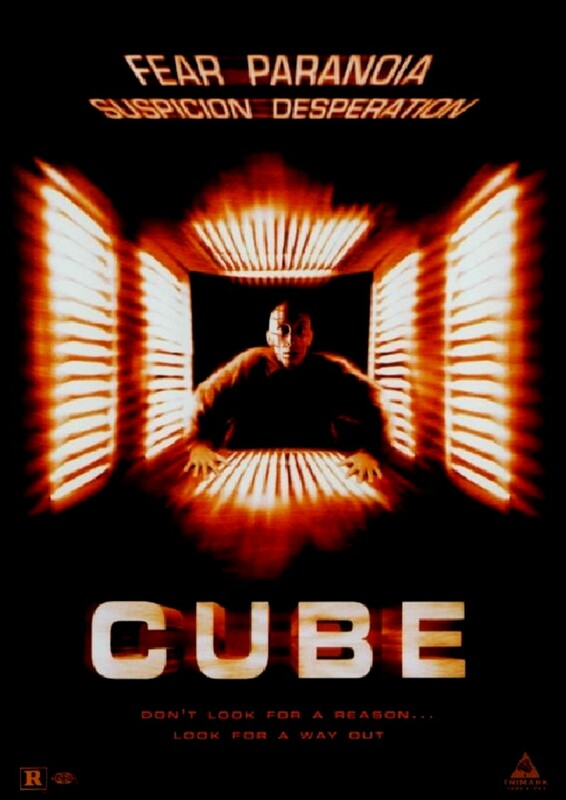 16 years later, Cube is still a classic, and proves once again that flashy special effects can’t beat good writing and characterisation.